This year the world’s oldest family-run tobacconist, James Fox, at 119 Grafton Street in Dublin, celebrate their 135th anniversary. In addition to the release of a limited edition cigar humidor and commemorative whiskey, they decided to release a special pipe: a Peterson, of course. 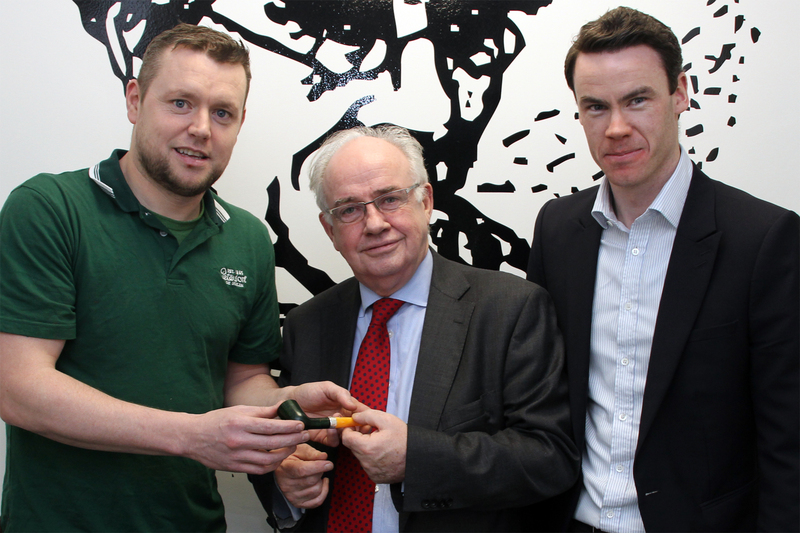 So back in January, David McGrane, the Managing Director for the past 45 years, and Yiorgos Manesis, also of James Fox, met with Conor Palmer (Commercial Director at Peterson), Tony Whelan, Jr. (Factory Manager) and Jonathan Fields (head of Bowl Turning at Peterson) to create the prototype for the James Fox 135th Anniversary Pipe. 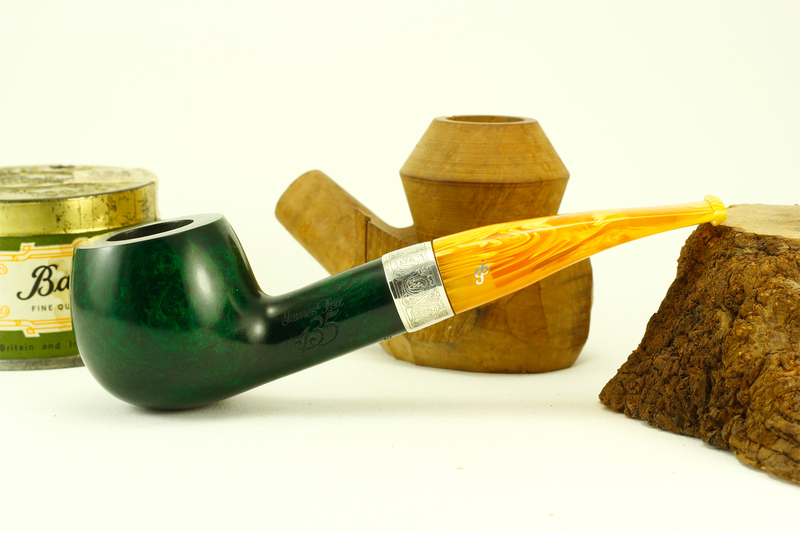 “Our main goal,” says Yiorgos Manesis, “was to create a unique pipe that would mark our long-term relationship with Peterson as well as underscore our Irish heritage. After talking our ideas through with Conor Palmer and having a few samples made, we settled on a design, which we are delighted with. 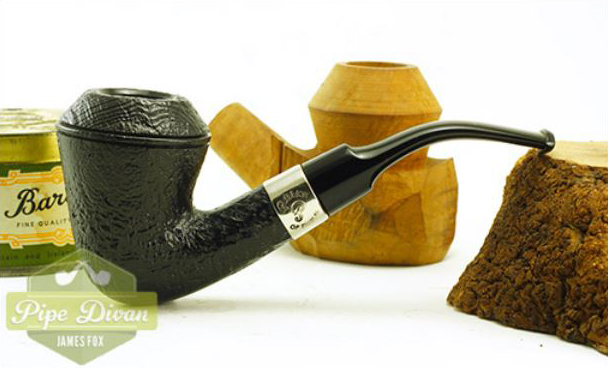 We wanted to concentrate on classic shapes, as they have been our most popular sellers and are a choice for most pipe smokers. Knowing that availability can always be limited, we were happy to secure most of the shapes we originally wanted.” With Peterson’s emphasis this year on army-mount pipes, it’s good to see some flush-mount Classic Range pipes as well. 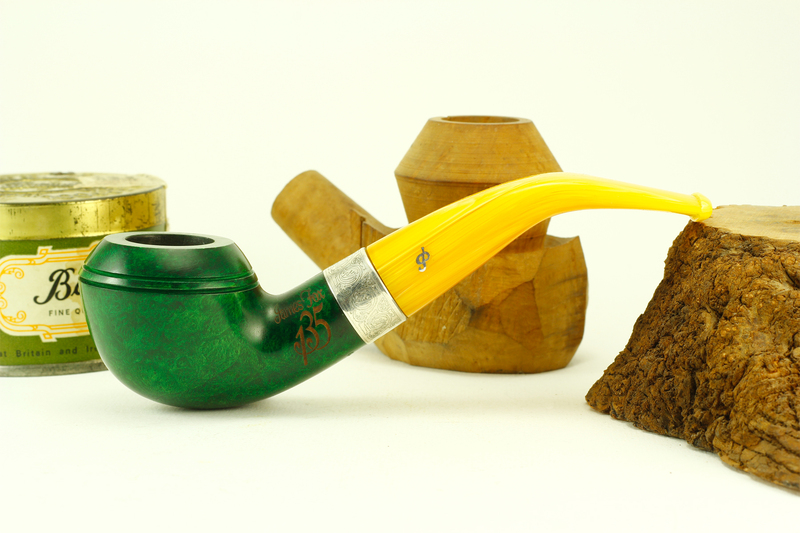 When Yiorgos says “classic shapes,” he’s talking about many of Peterson’s best-sellers, and he and David chose nine that are extremely popular: the 999 Rhodesian, for example, which is pictured at the top of this blog, is perhaps Peterson’s best-selling shape. 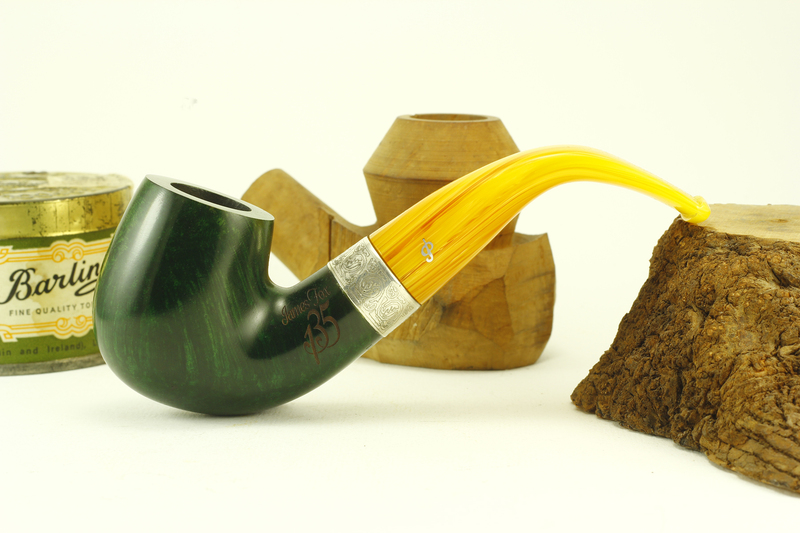 The 03 bent apple is probably Peterson’s #2 seller, although the 05 calabash (and original Peterson Sherlock Holmes shape) comes in a close third and always elicits one of those “Oh, that’s a Peterson, isn’t it?” comments. The X220 bent billiard is another classic (same bowl as the 312 Standard System and 11s De Luxe). 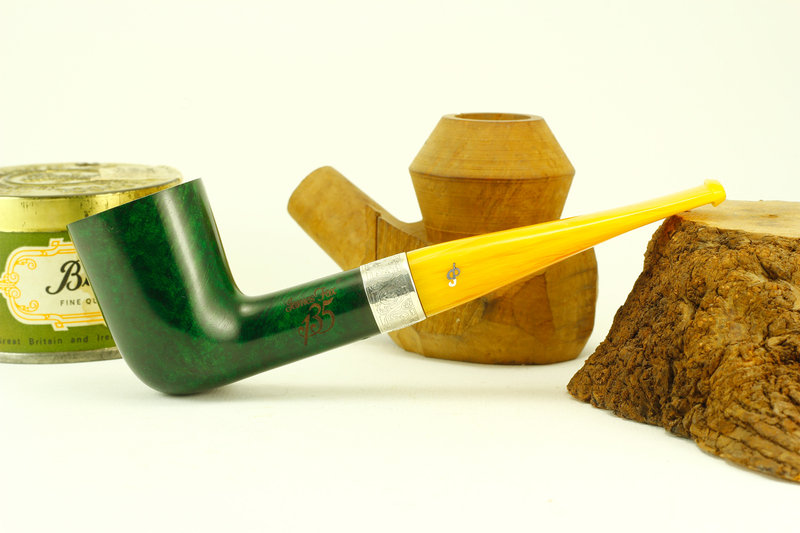 After that, for the aficionado of straight Petes (or “Stumpies,” as Phil Blumenthal has officially dubbed them) comes the iconic 120 Dublin, the 106 billiard and the 150 bulldog. Bringing up the rear are two of my personal favorites: the 408 quarter-bent apple and the B10 squat Rhodesian with its incredible V-shaped chamber. These are all war-horses in the Peterson stable with excellent track records, and serious Pete freeks will probably have at least one of these shapes in their rotation. 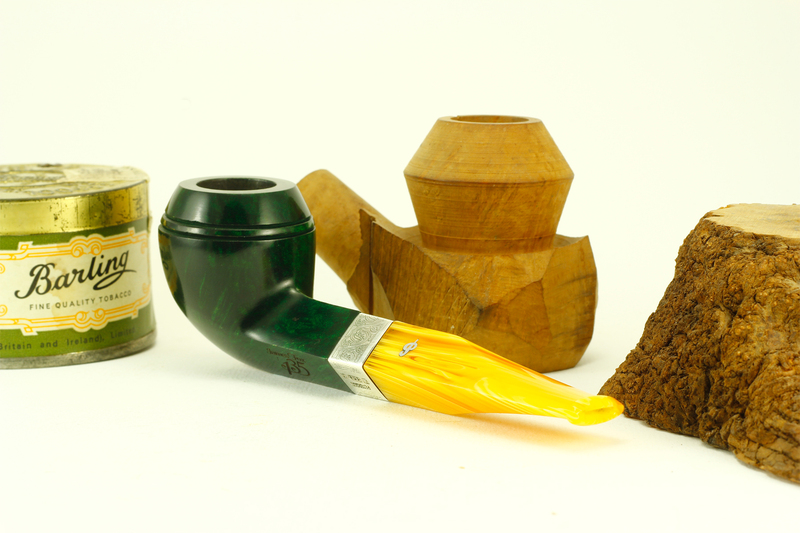 In The Peterson Pipe we talk in some detail about how the company grades its bowls. 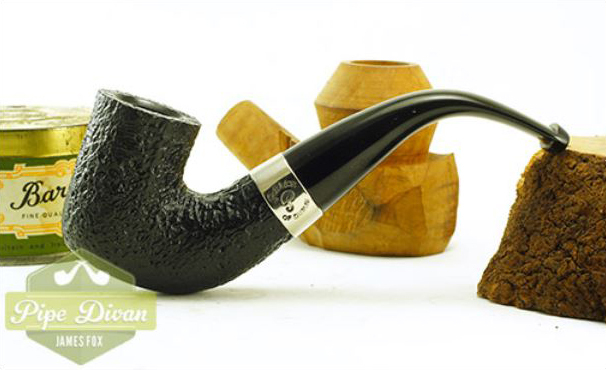 Most pipemen will know that the better the grain and cleaner the bowl (without fills, pits or root marks), the higher a bowl will be graded and the lighter color it will be stained. 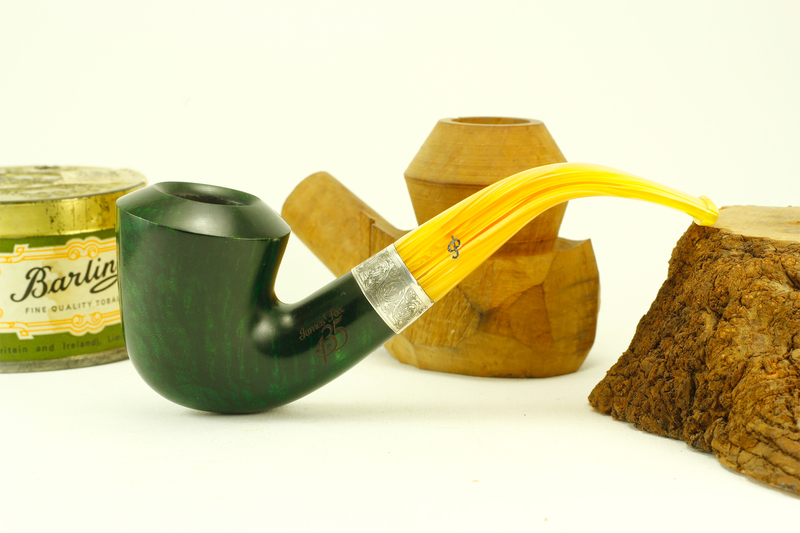 Keeping in mind the stain color, a very good quality bowl was chosen for the JF 135th Anniversary pipes – the same as that used, says Tony Whelan, for the Sterling Silver, Sherlock Holmes and Premier System lines. The bowls for the James Fox small batch are stained by hand, with a black undercoat to bring out the grain, followed by a green top green coat. The sterling band is stamped with Celtic knots, then hand-fitted and beveled to each pipe. The embedded aluminum P is another sign of excellence on a Peterson pipe, and it’s lovely to behold on the acrylic mouthpieces chosen. 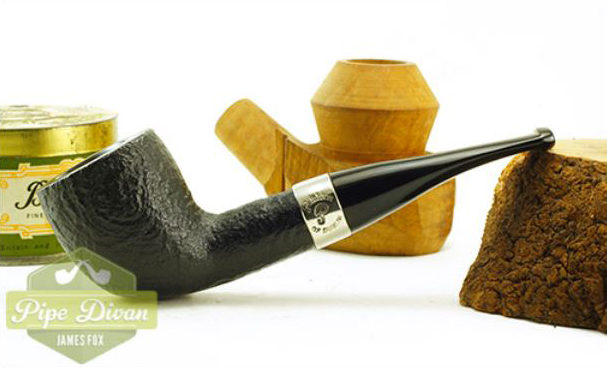 The choice to go with a pipe that will take a 9mm filter is obvious from the European point of view, but much less so for pipemen here in the States. If you have driven around Ireland in the past twenty years or so, you know the German tourist trade is extensive enough that road signs in German are commonplace, and Germany claims more 9mm users than any other pipe-smoking community. Don’t buy one. The obvious, but sometimes limiting choice when you see a great piece of Peterson briar then discover it’s a 9mm. This is not the secret. Obtain a 9mm converter. This is a little plug which fits into the filter chamber and does (so I’m told) a fairly decent job. This isn’t the secret, either. Remove the filter and throw it away. Smoke the pipe. This is the secret. In doing so, you will enjoy something very similar to the open-draw smoking experience endorsed by the “Apostle of Pipes” Rick Newcombe and explained in his book In Search of Pipe Dreams. I did this very thing with a 9mm Writer’s Collection Joyce and was astonished by how well it smokes (in fact, I’m smoking it as I write this). I’m aware that Newcombe is in the minority here, and you may not want to put your money on the line to find out. But removing the filter is a far cry from drilling out the air passage of the stummel or chamfering the mouthpiece. The smoking experience, however, seems to be about the same to me: cooler, more flavorful, less tongue bite. The only other thing to consider is cleaning a 9mm sans filter mouthpiece. 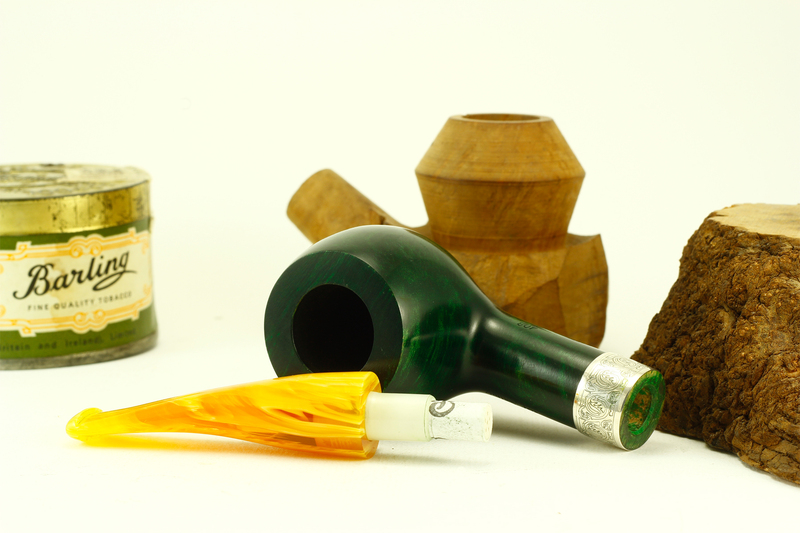 It doesn’t take as much time as we take with our Systems, but it does require doubling a fluffy cleaner and running it up the empty chamber – not nearly the time you’d take with a reverse calabash, but an important step in keeping your pipe performing at optimum conditions. The current Peterson Black Sandblast Peterson offered at Pipe Divan / James Fox is also an exclusive, although I haven’t decided whether or not “small batch” is really an apt description for the ever-multiplying small lines Peterson has been producing over the past few years for e-tailers. If not “small batch,” then what? Suggestions, anyone? The Black Sandblast line is certainly among the best of the current “exclusive” Peterson entry-grade lines: nickel band, vulcanite fishtail mouthpiece, and an offering of nine rarely-seen shapes from the B catalog, plus the reappearance of my old friend, the XL339 Dutch Billiard (the original Charles Peterson shape 4, known in the System range as the 309 Standard or 4s De Luxe). Someone really should write a history, or a least a monograph, on James Fox, like Peterson (for most of their history), a family business. 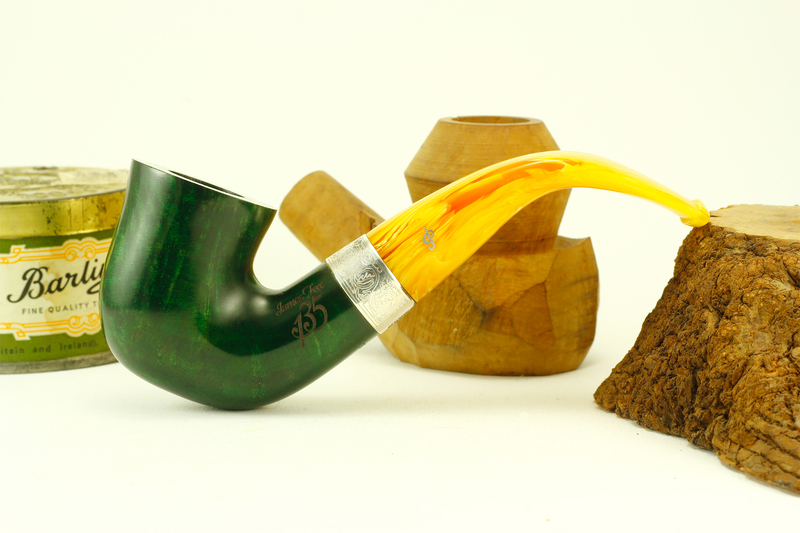 For now Peterson fans will have to content themselves with owning a piece of that history – the 135th Anniversary pipe. Many thanks! I’ll have to check these out. Mark has written about some interesting releases from Peterson including this 135 Year Anniversary pipe for James Fox Tobacconist. Thanks for writing about this. I bought the 106 and it is truly beautiful. 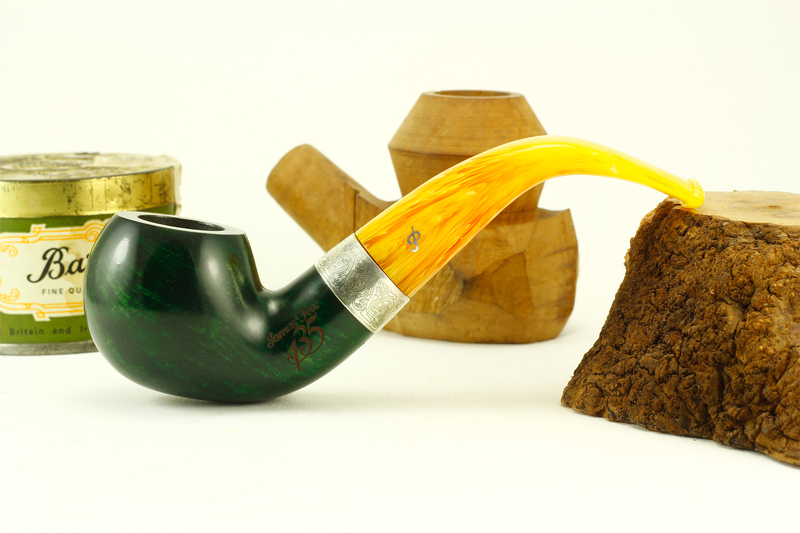 Anyone thinking about buying this pipe should not hesitate. BTW I smoke it with no filter. Wonderful! Good to hear you’re pleased with its sans-filter performance! That makes 2 of us. I bought a 120 Dublin and hope to smoke it this week after I get it photographed. Mark, do you know what nine B-shapes were released as the black sandblasted edition? I may have picked up a couple from the 2nd-hand market, but I’m finding information difficult to come by. Yes sir, I do, although they weren’t all Bs. The James Fox Black Sandblast Edition included the 502, B22, B23, B35, B59, B60, B63, B64, B68 and XL339. They were a special deal for JF, and appeared only in-store and in their online shop.